At Greater Good Realty, we care about what happens in our community and would like to keep you updated with special events! Here are some special events happening in San Diego for the Month of September! Red, white and cruise! Get out on the Bay during the first day of the summer season. 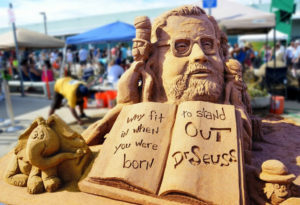 US Sand Sculpting Challenge Dimensional Art Exposition Well, look no more! It’s a 4-day extravaganza for the whole family! We’re changing the name of America’s 8th largest city between September 2nd and 5th, 2016. We’re calling it SANDiegoTM. Not only that, we’re building a beach high above the water, bringing 300 tons of sand to the ‘B’ Street cruise ship terminal pier, with our Big Bay on the West and downtown’s castles in the sky on the East. It’s been called the most creative atmosphere in the world. Tall Ship Parade Join the celebration as part of the flotilla of ships that sails into San Diego Bay to kick off Festival of Sail! Sail aboard the official tall ship of California, the Californian, as she leads the parade of ships down San Diego Bay and to their docking spaces at the Maritime Museum. Every September the Julian Chamber of Commerce celebrates the harvest of the grapes with a real, olde-world style grape stomp and festa at the Menghini Winery. This grape stomp out-does all others by providing two barrels for stomping – one for adults and one for children. Limited bacon and beer samples? What is this sorcery you speak of? 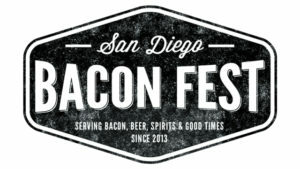 Bacon Fest is an all-inclusive event, granting you unlimited samples from all our beverage and food vendors. The horror genre has long been a staple of film & literature, boasting a significant number of fans and devoted connoisseurs who dedicate much time & money to its exploration. 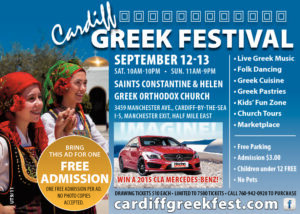 Be Greek for the day and enjoy authentic food, music, live entertainment, dancing, children’s activities and more for the entire family at the Annual Greek Festival held at Saints Constantine and Helen Greek Orthodox Church. Coronado Ferry Landing celebrating Coronado Art Walks 11th Anniversary. 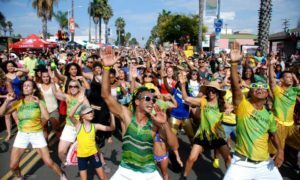 With over 60,000 attendees expected, this is touted as the largest Brazilian festival on the West Coast. A free, fun and family friendly festival, activities include a street fair with more than 150 vendors, food court, kids zone and carnival parade complete with floats. The KAABOO Festival will include performances by more than 100 musical acts on seven stages with internationally known headliners, established favorites and emerging artists. Welcome to San Diego’s only trail race through beautiful Gonzales Canyon open space and Torrey Highlands Community Park. 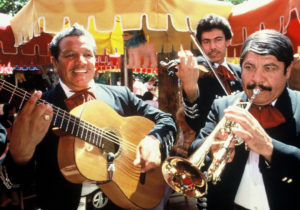 It’s that time again to head to Old Town San Diego State Historic Park to celebrate Mexican Independence! 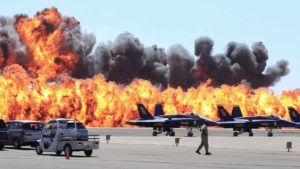 Marine Corps Air Station Miramar is once again hosting the largest military Air Show in the country! This year’s theme is Celebrating 100 Years of the Marine Corps Reserves. This year we’re excited to celebrate our 22nd year with the biggest and best festival yet! This year’s Festival will return to the Broadway Pier. The indoor/outdoor event will feature live music and nearly 60 different breweries serving up 120 varieties of tasty brews. 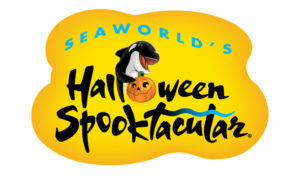 SeaWorld’s Halloween Spooktacular, where kids can dress up in their Halloween best and go on a trick-or-treating adventure throughout the park (trick or treat bags are provided).Festivities are geared for kids 12 years and under, who are invited to come in costume and enjoy all the festivities on Saturdays and Sundays. This September, San Diego Restaurant Week will celebrate local by showcasing the fresh and delicious ingredients that our region is known for. More and more, film enthusiasts are coming to San Diego to bask in the light of the glitz and glamour, the parties and premieres, the artists and aficionados, celebrities and scene stealers.